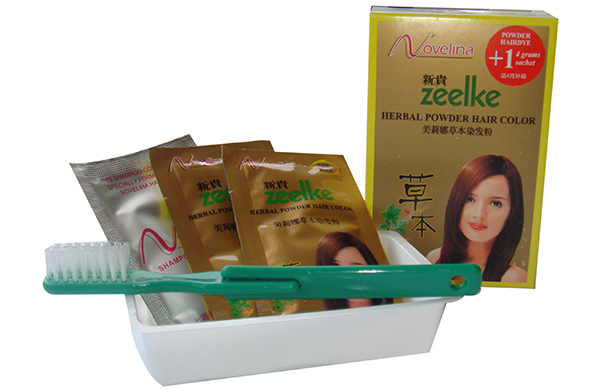 Like the Novelina Zeelke Powder Hair Color, Novelina Zeelke Herbal Powder Hair Color is introduced in the market to elegantly cover gray or partially graying hair. It contains no ammonia and requires no hydrogen peroxide as well. 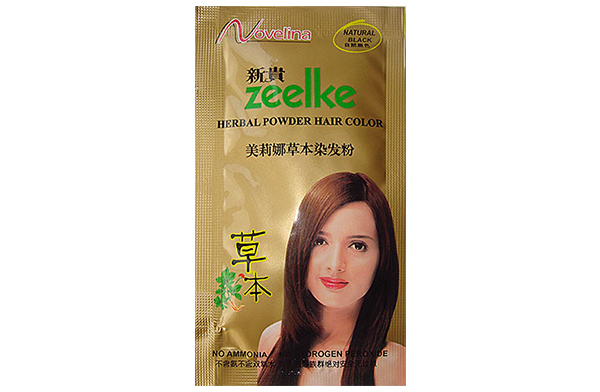 Novelina Zeelke Herbal Powder Color is enhanced with herbal extracts like Ginseng, Aloe, Silk Powder, and Pearl Powder to help condition the hair during and after coloring, and to help retain hair’s natural sheen and luster. 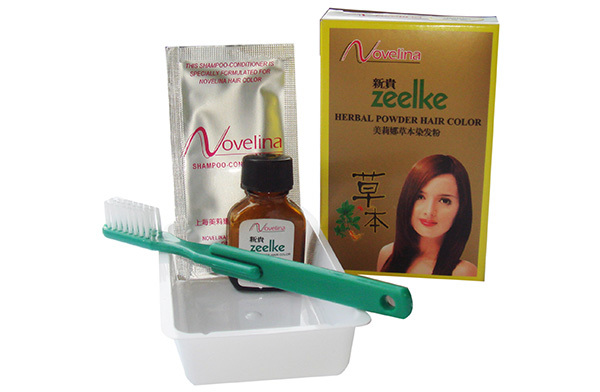 It requires the same easy steps as the Novelina Zeelke Powder Hair Color. Just pour contents in a bowl, add 50ml. of water and mix thoroughly. Apply mixture unto hair and let stand for 30mins. Shampoo then rinse off. Each set comes complete with a mixing tray, coloring brush, ear covers, gloves, and a sachet of moisturizing conditioner.